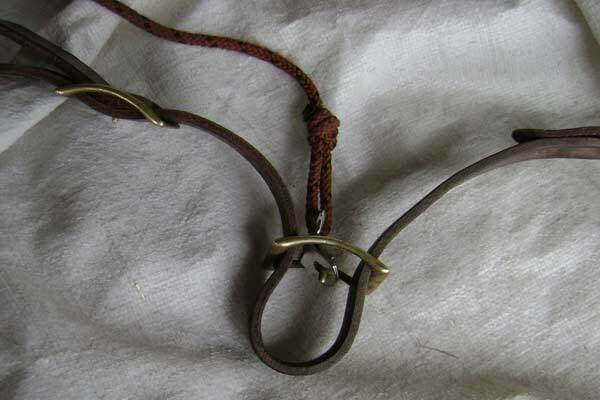 How to make an effective, inexpensive German rein or German martingale. 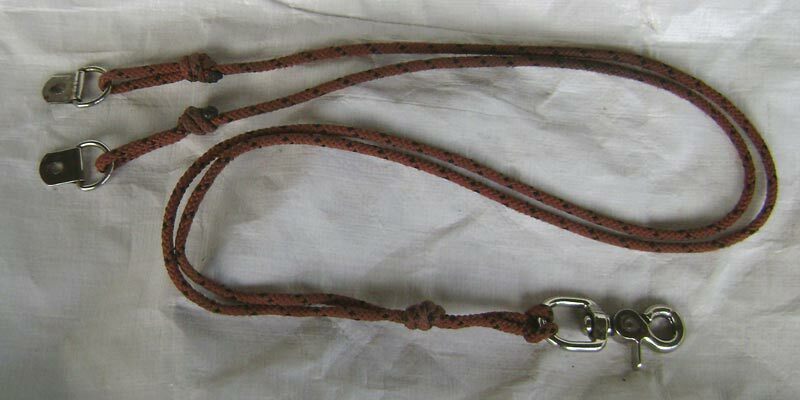 The German rein is attached to the breastcollar with a snap at a dee mounted about 6 inches below the "Y" of the breastcollar. 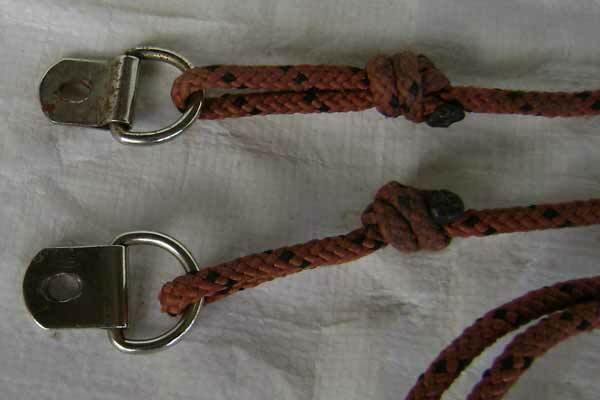 The twin ropes then run up through the bit, through the gag portion, not through the rein rings, and attach to the reins via an extra conway buckle that provides for an infinite adjustment. Just punch holes in the reins as necessary, and slide the conway up or down to adjust. Even if you have to buy a bundle of the rope, the cost will be under $10.00. The rope, made up, measures overall between 36 inches and 38 inches from dee to snap. 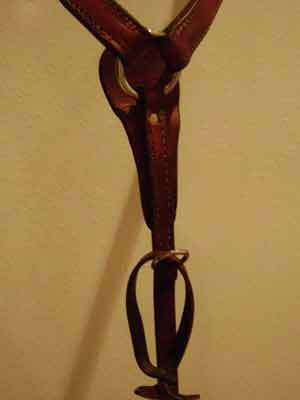 The overhand knot, about 3 inches from the snap, keeps the two rein ends even. We prefer to use darker rope, like this brown color, which makes it almost invisible on the horse. The dee tab is slid into the back of the conway buckle, over the center post. It is held in place by the rein. 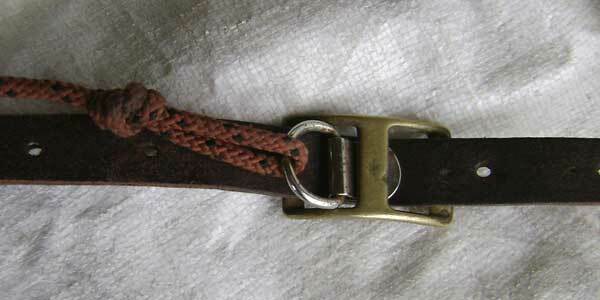 This shows the back of the conway buckle with the dee in place and the rein tightened down. We have used a drill to elongate the hole in the dees to make it easier to slip them over the posts on the conway buckles. 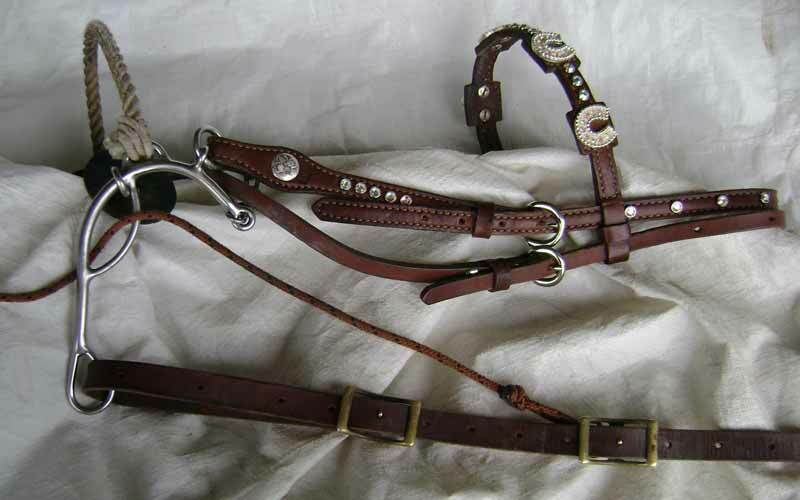 All our breastcollars have a dee riveted to the tie down strap about 6 inches below the "Y" of the breastcollar. The dee is used to attach the German rein snap. Also on the dee is a leather loop, about 3 inches in diameter. 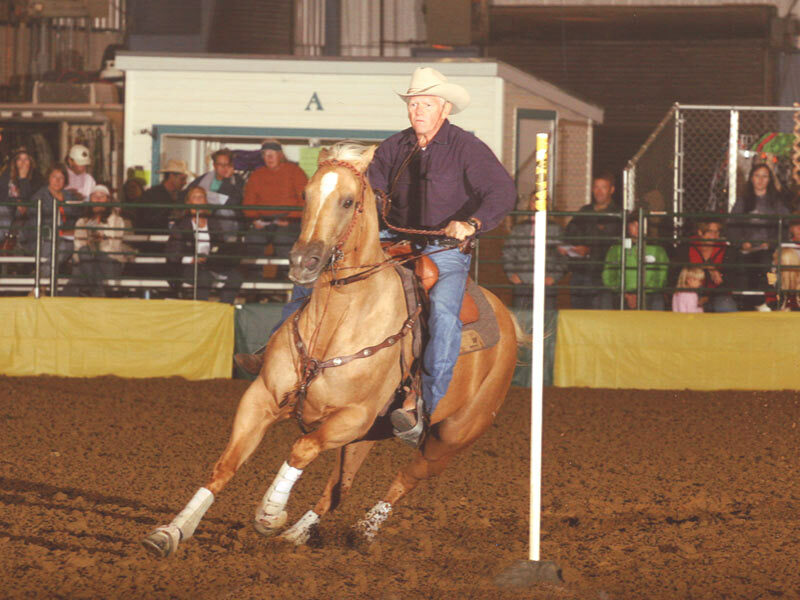 If we choose to use a tie down instead of a German rein, we will run our tie down through the loop to hold it up so the horse won't trip on it.